A termite inspection is actually a Wood Destroying Organism (WDO) inspection. The name is important because the inspector needs to look for more than just termites. Not only is the inspection conducted for termites, but it also includes inspection for Powder Post Beetles, Old House Borers, and Wood Decaying Fungi; all of which have the capability to cause damage to structures and their contents. 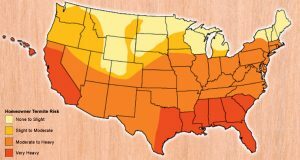 Termite inspections – subterranean termites can reach upper levels of structures even though their colony originates in the soil below structures. Be aware, many home inspectors and pest control companies may offer cheap or even “free” inspections just to get into your house. Then, they say you need a chemical treatment or a warranty bond based on something they saw in the attic. This is how they make their money. Treatments can cost hundreds of dollars, and warranty bonds can cost several thousands of dollars. Most individuals selling those items are also working on commission. Inspectors who try to sell you an additional service or repair based on their inspection findings should not be relied upon. The offer creates a conflict of interest, and is reprehensible. It is common when you hire a home inspector who offers a cheap termite inspection, one of their friends shows up for the inspection, who is the actual authorized WDO inspector, but who gives part of their fee back to the home inspector. Now, who can you trust, and what will you do when you are told they “found” evidence of termites in the attic, they say you need a $750 treatment or an $8,000 house tenting? A trustworthy WDO and home inspector will only inspect, and never try to sell you additional services. A quality termite inspection adds time to the overall inspection and reporting process. All WDO inspections related to the sale of a property require a separate report to be provided to you on state form #DACS13645. It is required by law and must be given to the client. 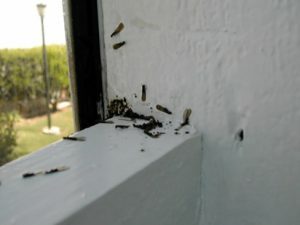 Termite Damage can be devastating! They say there are two types of house in Florida – those that have termites and those that are going to get them. Be sure you a termite (WDO) inspection before purchasing any property.